The basketball team representing Georgetown, home of the most respected foreign service teaching in the land, went all Bruce Lee on the players of Bayi, a Chinese professional team, during the school's, um, goodwill tour of China. 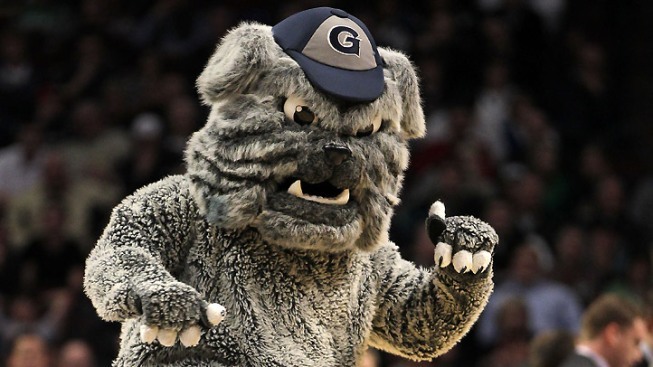 We all hoped the Hoyas would break a leg in the Far East, but from the looks of things our boys went for noses and jaws, too. This is the greatest display of American sportsmanship since the 1976 Philadelphia Flyers/Red Army hockey game, in which the Soviet squad's coach pulled his team off the ice to protest the hooliganism of the Yanks and set U.S./Soviet relations back a, well, not much at all, actually. Mirrored the Cold War mood, come to think of it. Which is probably about what the Georgetown/Bayi donnybrook does regarding current US/China dealings. Kung POW! Diplomacy: Georgetown Brawls in China was originally published by Washington City Paper on Aug. 18, 2011.